Allwell Electronics Co., Ltd.(全威電子) is mainly for professional design and production of electro-acoustic products. We have business items including speakers, headphones, microphone. 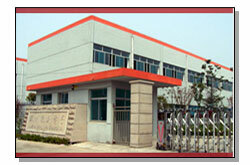 Our factory (合威電子) is located in the humanities area - north of Tiger Hill. The factory is 12,000 square meters wide, only 6 kilometers away from Suzhou Railway Station. It's also near the main traffic artery -Shanghai-Nanjing Expressway and the 312 national highway. The transportation is very convenient. With advanced technology and equipment, scientific production management, our company achieved ISO9001 quality control system, ISO14001 environmental management system and other certificates. By excellent quality control and outstanding on-site management, we always maintain a strong competitive advantage. for the company philosophy. We continue to develop high-tech products, and vigorously expand the international market. Allwell is always making unremitting efforts to become the most powerful and professional electro-acoustic products manufacturing enterprise.